Looking for the best gaming mouse? It depends on the type of game you play, it is wired or wireless. Razer, logitech, corsair etc. are some best mouses. People spend a lot of time on the computer playing games to interact with other people and get a kind of fun that they cannot with other activities. That's why today we are going to discuss the factors that will probably help you choose the right type of game mouse. The most important thing is that you know well what your needs as players are. First of all let's point out the difference between the optical mouse and the laser mouse. Optical mouse use one or more ELDs to take images of any surface, to track the movement of the mouse across the surface; this is the main contrast to the previous generation of ball mouse, which actually used the physical ball that was rolling around of the mouse, to detect the movement. Therefore, compared to the older ones, the new generation of optical mouse has a high range of surface compatibility, if we compare it with the laser mouse, it seems that they have a lower DIP sensor (usually around 200-800DPI) , but they can go as high as 4000 DPI. Some players say they prefer laser mouse. Laser mouse are derived from more recent technology and have some advantages compared to optical mouse. The number one is surface compatibility, depending on the type of laser; it can be used on a much wider variety of surfaces. Optical mouse can only be used on opaque surfaces, when laser mouse can be used even on specular surfaces (such as glass). The laser mouse are more accurate, they are able to achieve dpi up to 8200 DPI, which is significantly much more than what optical mouse available in the current market offer. Some people claim that, depending on the DPI sensitivity you want to use, it is better to buy a game mouse that is more optimized for the DPI configuration. For example if you want to play at 3000 DPI you may not want to buy 8200 Dpi since you can skip frames during the game. So it's good that you're always sure of what you really want and what you really need. There are different types of games, RTS, RPG, FPS and MMO are just some and each of them requires different game mouse to help players do their best while they play. 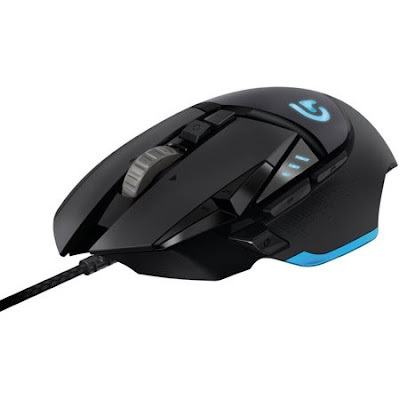 Most mouse are good for First Person Shooter (FPS) games, so they do not have some extra buttons, but if they are going to play some massive games online (MMO) or in real time (RTS), they should buy mouse that have more buttons and macros designed specifically for this type of games. The additional buttons on the Logitech G600 MMO really help a lot, but for most of the games we can recommend a razer product, they look great and the performance is also excellent. Wireless mouse are ideal for reducing the tangle of cables on your desk, everything is organized and feels more natural when you move the mouse around, you do not have the unsettling sensation that something is holding you back. The first true wireless mouse device was produced by Logitech in 1991 (Wireless MouseMan) and since then the popularity of new wireless gaming mouse 2019 is growing. Each year, companies build a new generation of wireless computer mouse and in the near future will fully conquer the market. On the other side we have the wired mouse that has a long history, people started using them in 1963 and since then the mouse has evolved from a simple interface device to a complex tool that is vital for all computer users. In terms of performance we can say that they are equal, but most players prefer reliability and wireless mouse tend to run out of battery. They can also be delayed a bit, because sometimes there are connection problems, in this case it is better to use a wired mouse. The latest generation of wireless mouse, such as the Razor Mamba and Logitech G700, use a removable USB cable to provide you with the best of both worlds, this type of mouse is also known as hybrid mouse. So you get an intermediate state between the freedom of wireless technology and the traditional and reliable cable style, it's up to you to define what style of game you prefer. Particularly we prefer the mouse with cable; it is more reliable and ideal for those who play for long periods of time. But if you only play occasionally then we suggest you buy a wireless mouse, which will improve your enjoyment of the game. The palm grip is the most natural feeling and is the most commonly used. By using the palm grip all your hand will be on the mouse, creating 7 points of contact. This grip is very comfortable and useful. Most movements come from your arm so you will be able to make quick, powerful movements. The claw grip uses only 6 points of contact, it is the middle grip class where you can simply catch the mouse without swinging and make a quick movement during grip playback. The grip of the finger only has 5 points of contact, this allows users to push the mouse under your hand using only the fingertips, this provides the highest accuracy, but make quick sweeps will be difficult. There is no correct way and there is no wrong way to keep the mouse pointer, we recommend you try different handles and find out which one you think is going to offer you more precision and speed. The DPI refers to the dpi that means dots per inch, is the number of individual points that can be placed on a line in the space of 1 inch, in other words, is the amount of px that your mouse moves per inch. For example: if you have 5 ppi, each time you move the mouse 1 inch would move 5 pixels on the screen, usually 800-1600 is all you really need. DPI sensitivity is a key factor for players; each game mouse comes with its own software where you can manually customize DPI settings, as well as mouse acceleration, which is the change in cursor speed over time, while the movement of the mouse is constant. With the acceleration of the mouse, the movement is based on speed. Which means, if you move the 1 inch mouse, slowly, it will move a distance? If you move it still 1 inch, but fast, it will move much farther. So every time you move the mouse to aim, you will have to move differently. Every time someone buys a good game mouse, they ask the same questions: What is the best DPI for a game mouse? No one can tell you exactly what is the best DPI configuration for you, only you decide which one is the best. In general, this factor depends on the resolution of the screen, for example, if you have 1366 × 768 screen, probably 3000 DPI or less will be enough for you. The last thing to keep in mind when choosing the best gaming mouse according to your needs are personal preferences, we all have different aesthetic tastes and that will definitely have a great influence on our decision. You also have to take into account the weight of your mouse, make sure that the mouse adapts to you, the best way to do it is to move it as fast as possible and then stop it on a certain object, in this way you can check the accuracy mouse. Some people consider the mouse with very flashy lighting, if you like this type of mouse you should opt for Razer mouse, but if you prefer something more classic, Logitech will offer you good options. We are sure that this guide will be very useful and will help you choose the ideal gaming mouse for you.